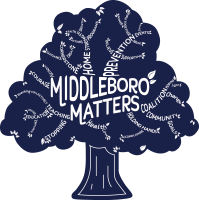 Middleboro Matters uses Hidden in Plain Sight as an exhibit at key events. This is a mock teenage bedroom that allows adults can go through to see possible red flags for unhealthy behavior and/or substance use. It shows possible hiding places, drug paraphernalia and other signs that may indicate alcohol or drug use by a teen.